If you are using an overhead projector and big screen and want to have some variety in size (for instance to emphasize the difference between gods and mortals) there are two ways of doing so. One way is by using masks, as is done in both of the video examples above. The masks should be big enough to prevent the child’s head blocking the eye hole. A moving jaw can let the puppets talk. Pandora’s Box, a five minute performance shown above, was put together by a class of twelve 4th and 5th graders at a local Unitarian Universalist congregation in the context of the curriculum “Why Do Bad Things Happen?” The performance took six teaching hours to prepare, during which the students made puppets and masks, and decided about the evils stored in the box, which they drew on transparencies that were put on the overhead projector. The text was written and narrated by teachers. The preparation hours included practice time. 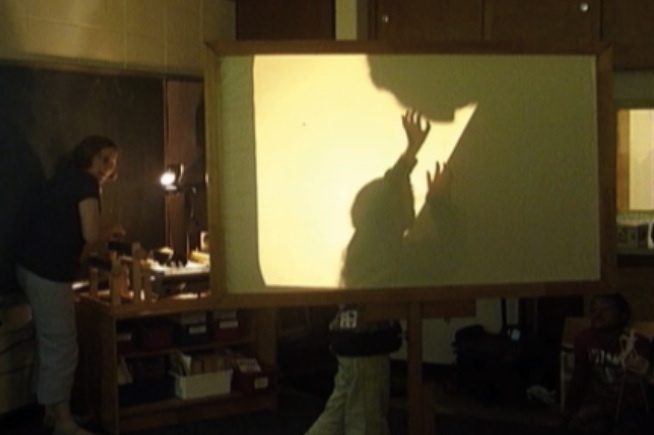 Another way is to put puppets directly on the overhead projector. Moving a puppet from projector to screen (keeping it in the light beam) may cause the effect of transformation or descending to earth. With careful coordination it will even be possible to let puppets on screen and projector interact, for instance during moments when gods and mortals meet. 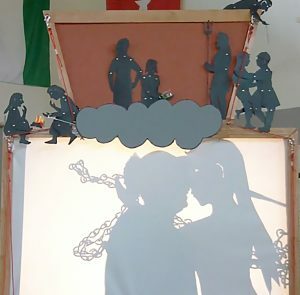 Camp counselor dressed up as Ares kisses the puppet Aphrodite on the overhead projector, while being chained together by Hephaestus. 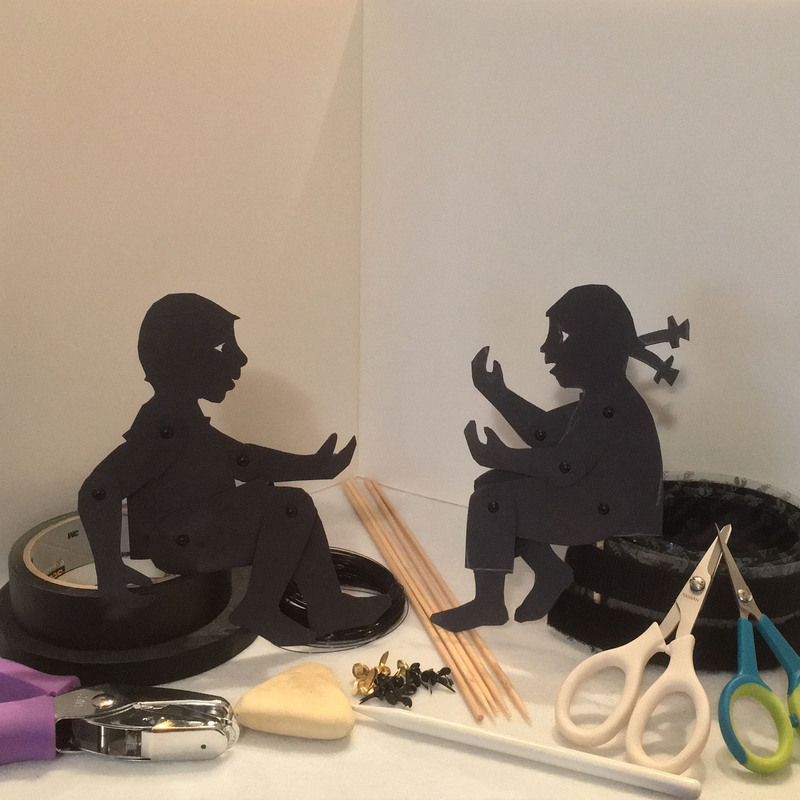 Of course, not only puppets can be directly projected, objects can too, enabling children to act out parts of myths that are otherwise impossible.